The hut is situated just off the main route of the Giant's Cup Trail, slightly above the South African border post and overlooking the Bushman's River. 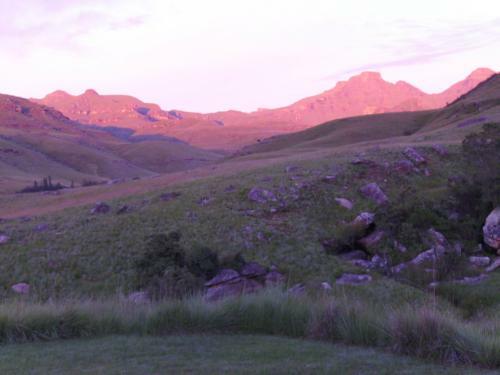 Because it is quite exposed, it offers excellent views of the far southern Natal Drakensberg. 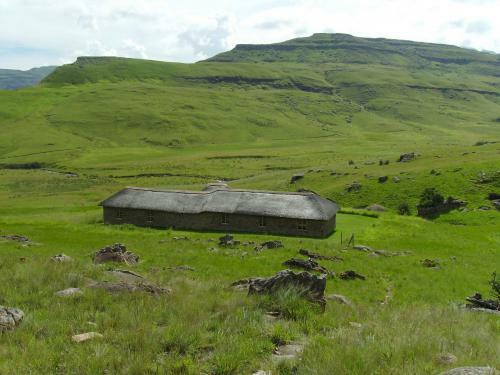 It is only visible from the trail for a short while and because it has a thatch roof and natural stone walls it can be easily missed, especially in poor weather conditions. The doors have combination locks to discourage non-paying squatters, so you will need to get the number from the office at one of the trail entry / exit points. This is the last hut on the Giant's Cup Trail. 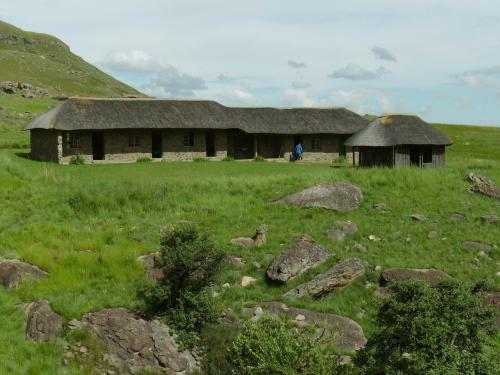 It is seldom used because it is less than 1 kilometre from the Bushman's Nek entry point, Silver Streams Caravan Park and border post so most hikers prefer to continue on to one of these instead of staying an extra night on the trail. It is possible to book the hut separately from the Giant's Cup Trail, and this option allows other groups to use it as a base from which to do day trips into the area. However, Silver Streams is closer to the trading store, has electricity and hot water, and there is a larger play area for kids. The hut is not accessible by road, so if you are looking for a better wilderness experience then it is still a very good option. 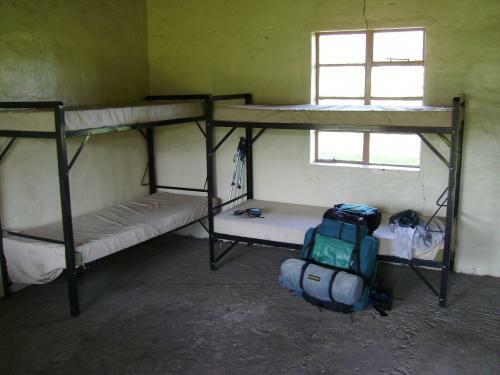 There are five spacious rooms, each equipped with three double bunks with thick foam mattresses. These share an outside veranda from which the two rustic bathrooms can be reached. Each bathroom has a basin, toilet and shower. Water is piped from a nearby stream and is available on tap, but there is no hot water for showering! It is possible that the pipes may freeze during a very cold winter spell, but water can still be fetched from the stream. There are several nice, private swimming and tanning spots within easy reach through long grass on the Bushman's River about 500 metres below the hut. The hut is in excellent condition. The only thing missing is an internal fire place like the ones in the Pholela Hut near the start of the Giant's Cup Trail! 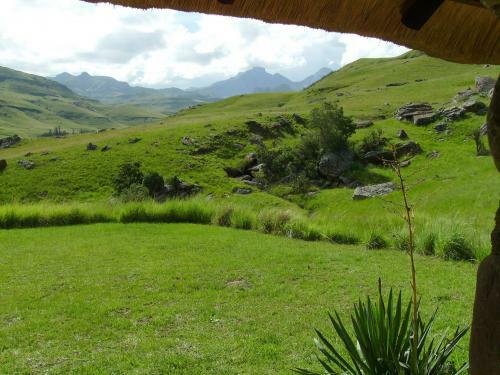 There is a fine view across the Bushman's River Valley below the hut. Thaba Ngwangwe and Tomathu Peak can also be seen up on the escarpment on either side of Ngwangwane Pass.